“Sherlock Holmes is dead….. and I have killed him” Arthur Conan Doyle is London’s most vilified man after killing off Holmes. He is attacked on the street, death threats and hate mail pour into his publishers office, so much of it that the letters are burnt to heat the office. Doyle is not having a good day, not at all. He heads to the pub, as anyone would do under the circumstances, and meets J M Barrie. While Doyle drowns away the days sorrows, Oscar Wilde strolls in and tells them that there is something they must see. They all go to a theatre and see a most remarkable man who not only does slight of hand but also levitates. Feeling slightly better Doyle goes home. He goes to his desk and sees a letter from an association called Society for Pyshical Research asking him to attend their first meeting in Thraxton Hall. As he reads this Holmes is suddenly sitting in a chair next to Doyle and is berating him. Doyle awakens to find it was all a dream and that there is no letter, but such a letter does arrive the next morning making Doyle question his own sanity a bit. 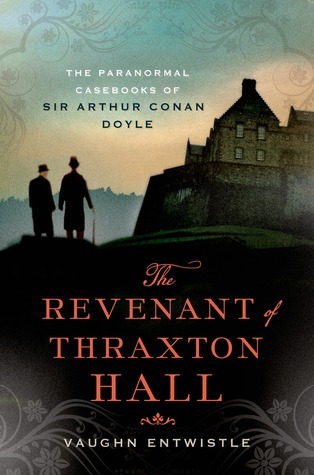 Lady Thraxton, a renowned psychic, who foresees her own death in two weeks time and summons Doyle to find her killer. 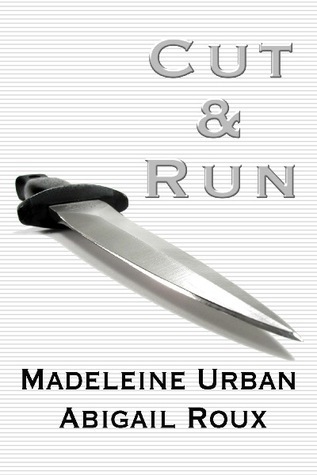 The first meeting of the SPR is due to meet at her estate in two weeks time, when the killer is due to strike. Thus begins an adventure and mystery that is worthy of Sherlock Homes himself. Oscar Wilde invites himself along to Thraxton Hall with Doyle to help him solve the mystery of Lady Thraxton and the curse of her family. I have to say I loved this book! It’s dark, gothic and the right amount of atmosphere for what is happening. I also love the flamboyancy of Wilde and his wit. The interaction between him and Doyle is really good and not forced as it was that Doyle and Wilde were friends in real life. I also loved that Holmes would appear to Doyle to goad him, berate him and to push him into the right direction to solve the crime.